French President Emmanuel Macron during a ceremony at the Arc de Triomphe in Paris on November 11, 2018 as part of commemorations marking the 100th anniversary of the 11 November 1918 armistice, ending World War I. On Sunday, November 11, 2018, in Paris, France. Listen to the November 12, 2018, episode of the Trumpet Daily Radio Show. French President Emmanuel Macron called for the formation of a European army last week. He said Europe needs this army in order to defend itself from China, Russia and the United States of America! 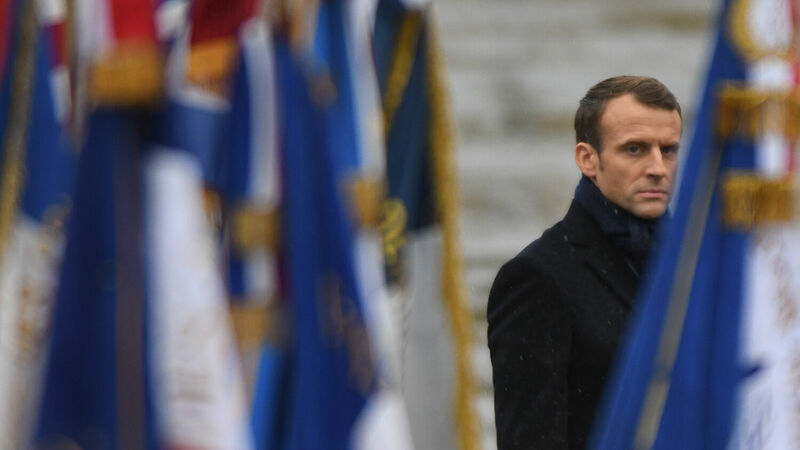 Macron also praised a French Nazi collaborator, Marshall Philippe Petain, calling him a “great solider.” Then, during his Remembrance Day speech yesterday, Macron directed several putdowns at U.S. President Donald Trump. Why is France suddenly turning on America? This is part of a broader trend throughout Europe that the Trumpet has been warning of for over seven decades. On today’s show, I discuss the significance of Macron’s comments and where this trend in Europe is leading.